Your peace of mind is very important to us, as a reliable and professional art and antiques moving company, we always think ahead and put ourselves in your shoes. 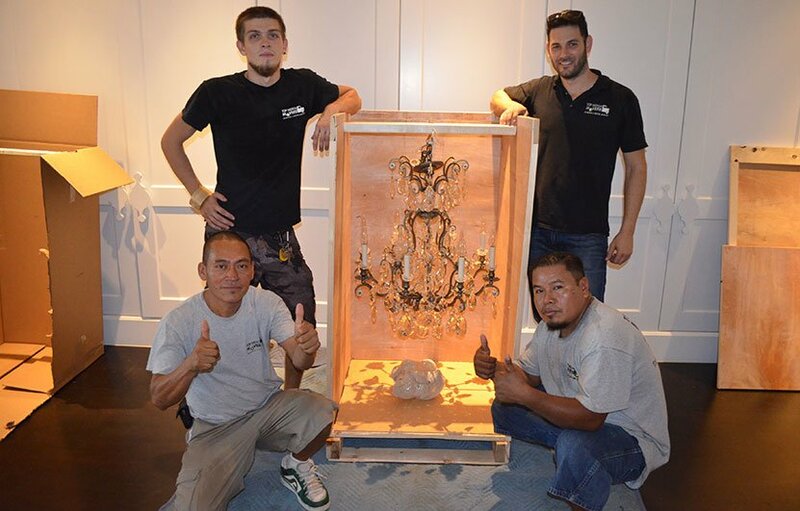 You are looking for a Fort Lauderdale art and antique company that is extremely knowledgeable in the care required when packing and moving your fine art and antiques. We know the importance that such items have to our clients. At Top Notch Movers we ensure to give our customers the best service that is efficient, skilled and prudence to make sure your belongs are safe and that they will make it in one piece to their final destination. Our trained and knowledgeable staff is both experienced and detailed in the packing and shipping of fine art, antiques, sculptures and many other valuable items. Top Notch Movers is a professional and experienced moving company, and we have your back. As art and antique movers in Fort Lauderdale, we love offering our clients exceptional customer service that is unparalleled by other moving companies. Our ultimate goal is customer satisfaction and if you are not satisfied, neither are we. Call us today for a free estimate and quote! >I just moved a couple of weeks ago and used Top Notch! The name says it all 🙂 I did a search on Yelp to find a moving company and based on the reviews called them and one other company. From the first phone call with Top Notch I preferred them! They answered all of my questions, provided me an estimate over the phone and set the date. They were on time, friendly and speedy. They were also very careful with my belongings which I most definitely appreciated. It was a good price and a pleasure doing business with them. I would definitely recommend them if you are looking for a moving company! !